Benyoucef Benkhedda (1920-2003) was an Algerian politician. 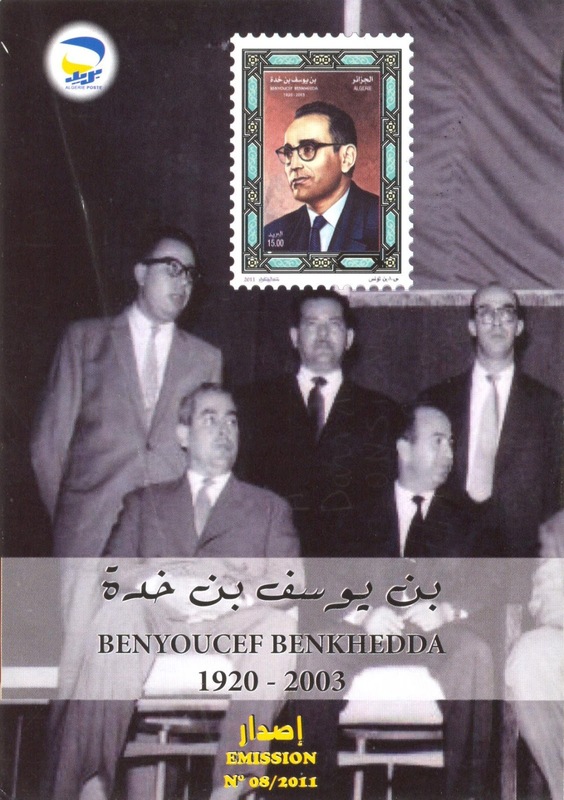 He headed the third Groupement Provisoire de la République Algérienne (GPRA) exile government of the National Liberation Front (FLN), acting as a leader during the Algerian War (1954-62). 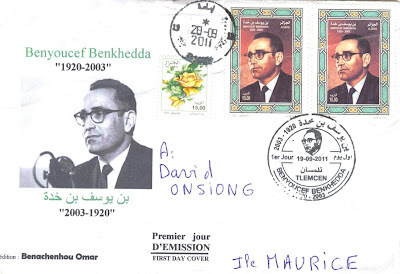 At the end of the war, he was briefly the de jure leader of the country, however he was quickly sidelined by more conservative figures. 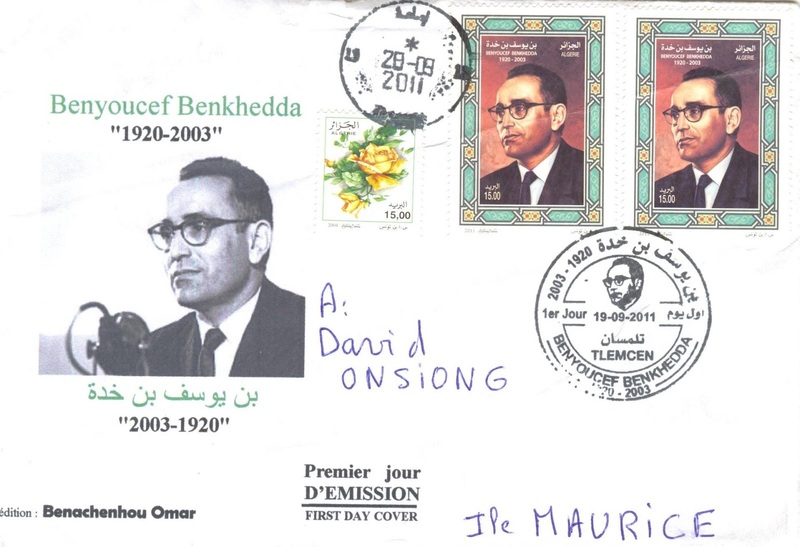 Thanks Omar for this FDC released on September 19, 2011 and posted from Imama, Tlemcen.